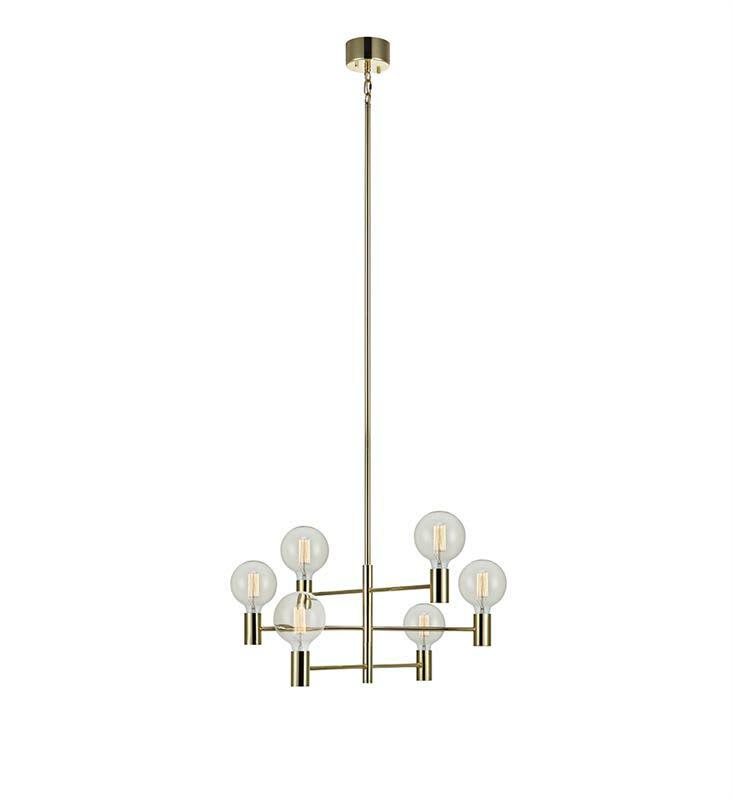 Elegant ceiling lamp Capital is a stylish elegant ceiling lamp in brass that fits perfectly in your living room or above the dining table. The ceiling lamp can be adjusted in height. room for 6 light sources.